Ramona Quimby continues to grow and flourish as she finishes second grade and moves into third. Her family dynamic continues to shift as well, with her father going back to college and to work part time and her mother continuing to work. Beezus and Ramona still don’t see eye to eye on things, but as the books progress, they manage to learn to work together at times. Ramona and Her Mother is the fifth in this series of eight. Ramona is still 7 years old. This book spans the second half of second grade. 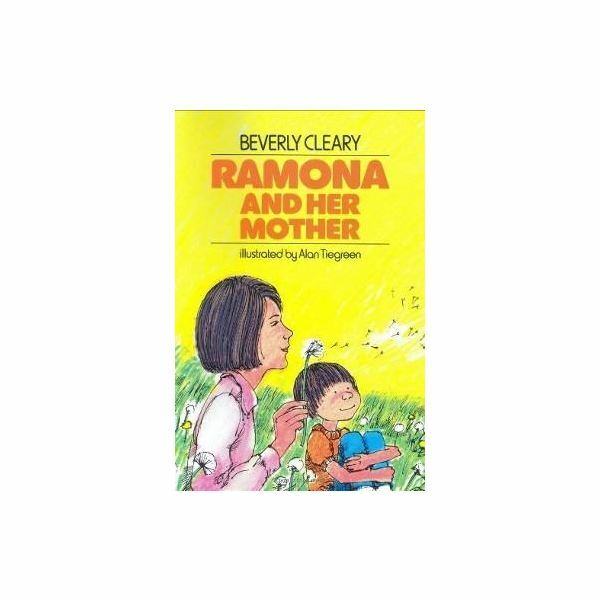 Ramona feels jealous of the relationship her mother and her sister Beezus share. She is also very unhappy about having to go to the Kemps’ after school. Her father is now working, but things get tense at times and the family is still very stressed. This book examines the relationship between mothers and daughters, just as the previous book looked at fathers and daughters. Ramona continues to grow up in Ramona Quimby, Age 8. As the title states, Ramona is now eight years old and in the third grade. She is going to a new school. She makes a friend named Danny, whom she nicknames “Yard Ape" for his behavior on the playground. She knows her family is counting on her to do well in third grade and to be good at the Kemps’ each day. Her idea that her teacher does not like her is what causes Ramona’s stress in this book. Both PowerPoint downloads offer basic summaries of each book as well as thoughts, talking points and discussion questions for various topics within each book. A journal topic is offered for writing assessments when the students finish reading.